mariapoveda https://thepetiteontologist.wordpress.com My name is María Poveda and I work as as researcher at the Artificial Intelligence Department, at the Universidad Politécnica de Madrid, in Spain. I belong to the Ontology Engineering Group , leaded by Professor Asunción Gómez Pérez. 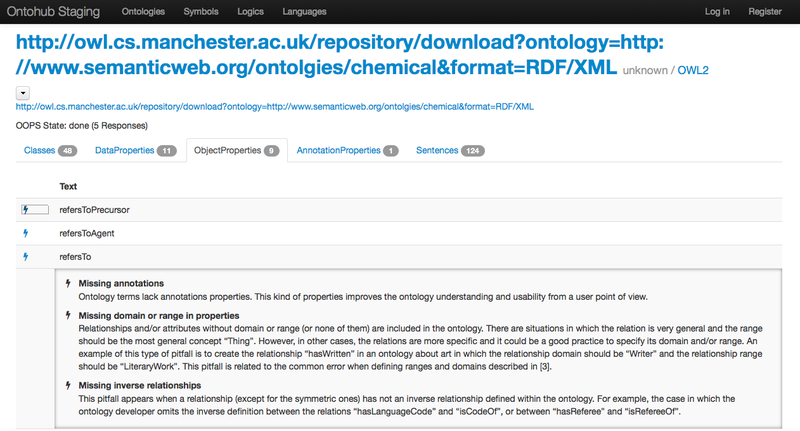 My research activities are focused on Ontological Engineering and Semantic Web. More precisely, I am interested in the areas of Knowledge Modelling (including conceptualization, formalization and implementation), Ontology Evaluation, and Ontology Design Patterns. Also, I am currently working in Linked Data modelling, generation and exploitation.